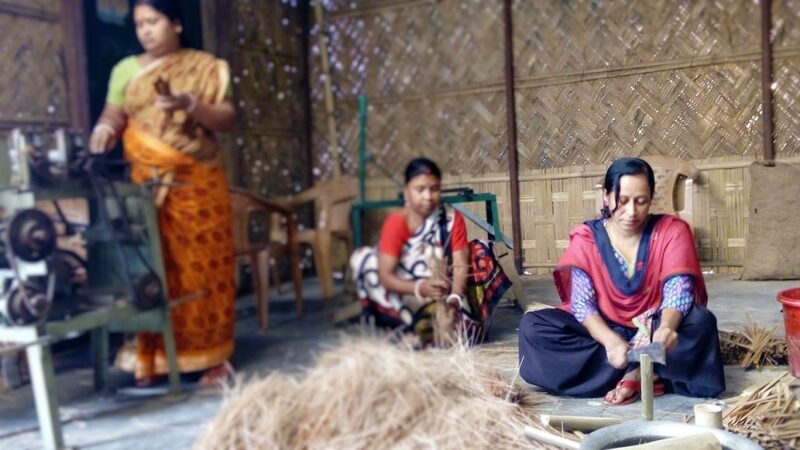 This is the second installment in a four-part series focusing on women’s involvement in the bamboo sector in India. For the first installment, please read here. Mira Das, pictured, is a bamboo incense stick maker from Mohanpur RD block in West Tripura district. She is one member of the Self Help Group named ‘Saradamani’ which was formed on 31 December 2008. A successful member of the group for eight years, Mira Das narrates her story below. Self Help Groups (SHGs) are one of several types of micro-enterprise formed by like-minded women members from the same village or cluster. SHG groups are special collective activity groups which are used to implement different government schemes related to health, education and awareness in villages. Mira Das received training on incense (agarbatti) stick making from Tripura Bamboo and Cane Development Centre (TRIBAC), a network organisation of the Centre for Indian Bamboo Resource and Technology (CIBART – established by INBAR) which is operational in Tripura State of North Eastern India. The incense sticks project was operational in Tripura from June 2008 to May 2012 under the funding support of ODI, IDRC, IFAD and INBAR. This project has led to a dramatic rise in household incomes of up to 150 per cent for beneficiaries who engaged in part-time, and 450 per cent for full-time, incense stick rolling works. I am Mira Das. I am from a lower middle-class family and live in Agartala, Tripura, with a dependent mother. I am 34 years old and the sole breadwinner of the family. I am a part of a Self Help Group named ‘Sardamani’ and engage in a job making incense sticks along with our group members. Before acquiring the skills on agarbatti making, I was at home without any specific job, and picked up odd jobs as available in and around my cluster – mostly through the Mahatma Gandhi National Rural Employment Guarantee Act (MNREGA) at INR100 [USD1.53] per day for ten days a month. These generally involved domestic labour, and the money earned was meagre – not adequate to feed two adults. I was the one who took the initiative to form the SHG and with new skills acquired on agarbatti making. Due to this SHG I have become a confident person today, and earn a decent amount – INR5000 [USD76.92] per month – through the production of rolled battis [incense sticks]. I am also working as part time staff in TRIBAC and earning INR3500 [USD53.85] per month as an business entrepreneur. I still take [a reduced amount of] MNREGA labour work for ten days in a month and get INR172 [USD2.67] per day, which all add up for INR10,220 [USD157.23] per month. Soon after we formed the SHG, in 2009, all our SHG members received training in raw stick making and masala [a mixture of jiggat – obtained from tree bark – and charcoal paste] rolling provided by TRIBAC. The training was done on the job and good quality sticks were the expectation of the training. At first our group was hand rolling agarbatti, and we would get masala from TRIBAC. After rolling, we approach TRIBAC and we give the same at INR20 [USD0.31] per kg. To produce hand-rolled non-scented battis, we need bamboo sticks, charcoal, jiggat and narua powder [a powder used when hand rolling] and initially when we started we had to buy all material, charcoal, jiggat etc. on cost basis. Our SHG group maintained the cash book and approached the Regional Rural Bank for a SHG loan for buying the raw material. Group records were scrutinised by the bank and grades were awarded. From the first gradation, the SHG was given a loan of INR25,000 [USD384.62] to buy the raw materials required for agarbatti making. What I learned: When we had formed our SHG, each member had different dreams, but our one common dream is to earn income and engage ourselves in a useful and continuous activity to generate a sustained salary. So when we received our first loan, we did not distribute it among ourselves or keep it for personal use, and instead decided to start our business in agarbatti making, which I feel is a big lesson. Similarly, when we had received a second loan and our group members bought the small tools to reduce the wastage and to buy the required mixture. Now our business is growing and we are proud members of our SHG, earning enough to meet our household expenses. 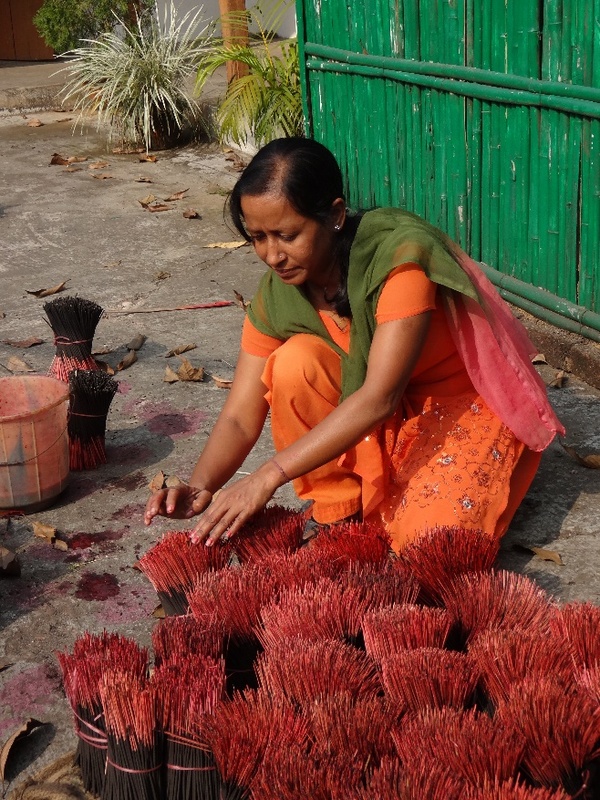 In the business of making incense sticks, each member earns around INR120 [USD1.85] to INR150 [USD2.31] per day. We have repaid the bank loans and now have surplus in our bank account to buy the materials required for rolled battis. We continue rolling the battis and I took the leadership as a ‘Self-employed Business Agent’ (SEBA) to run the business. With the experience and expertise gained on rolling, we are now producing 1500-2000 kg of battis every month and five members of the SDG help achieve this total. With quality finishing, our sticks are now received at INR70 [USD1.08] per kg. Our group earns a profit of INR10,000-15,000 [USD154-231] from the sale of incense sticks. I alone make 500 kg per month and I earn a profit of about INR5000 [USD76.92] per month as I invest more time than other members of my group. All of us receive the profit on pro rata basis according to the time and volume they produce. Furthermore, our SHG is generating income through charcoal making from the bamboo waste; we use this in masala preparation where we save further. TRIBAC office work shed is now being used as centre for making and storing the sticks and we are planning to move into a big space soon. Earlier [before the incense stick programme] we would sit together at my residence to discuss ways to earn some income, in spite of our busy daily household chores, as each of us can spare some time and we were willing to learn to make bamboo crafts, or sew or make bamboo mats to earn. That was the basic reason why we formed the SHG. When we came to know about the training on incense sticks making by TRIBAC, we undertook the training and found that could help us earn wages even if we engage on a part-time basis. 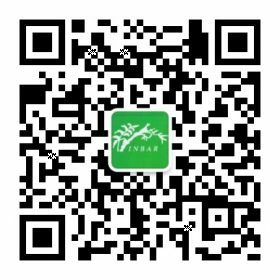 This activity helps us to receive a stable income every month and day by day we are producing a good number of sticks. We had no skills in incense sticks making until we received the training from TRIBAC. The newer skills acquired through training and working here help us to earn a stable income on a monthly basis. Initially we produced maximum 100kg in a month; now we make 2000kg per month. We now have personal savings and I have even helped my mother buy household items like a steel cupboard, television set, two cots and a few household items. I bought gold earrings and two bangles for myself from my savings. My dreams are coming true step by step. My life is now changed; I do not worry any more and my life is not so tough now. Further, by seeing the positive impact in the life of Saradamani SHG women, other women are also coming forward for bamboo agarbatti production work. Before training or engagement in the sticks business, our family income was meagre at INR1500 [USD23.08] per month from MNREGA and other domestic work, and I had no rest or leave from my domestic support job. Moreover this was labourious, tiresome and not at all adequate for both of us to live. Now I am earning on average INR10,220 [USD157.23] per month from agarbatti making, part-time work and MNREGA work days, which is actually a 581 per cent increase in household income. What did you/ they do with the additional income? I had some savings in my account and I used the additional amount to buy household assets and good clothes. We purchased a mobile phone, cupboard, gas stove, gold ornaments and a television set for leisure time watching. I now get a day off from work and go to the market to fetch food and vegetables for a week, which was not possible earlier. We have an open space in the front side of our house and we are planning to get a roof for our group meeting and other social activities. Sometimes, I attend family functions with gifts and spend money on feeding my friends and relatives during cultural festivals. What type of programme activities were the most useful and meaningful for you and why? Learning [the stick-making process] was the most useful and meaningful activity in the programme. I am thankful to TRIBAC for this. Also the initial support TRIBAC extended in arranging for raw material like bamboo and mixture. We have learnt the SHG concept and got a good grading [by the banks] so have received several loans; this business activity has given me confidence to deal with bank officials on loaning as well repaying. We received a loan of INR100,000 [USD1538.46] as working capital from a bank which was very helpful to do more production. Now we all receive good amounts as per the labour that we put into stick-making work. We also participate in social functions, go to the gram panchayat [local self-government] office to understand the new government schemes, we go and talk to other women about our lives today and help the other women in learning the sticks making work for their earning – all [these activities] are very satisfying. What I personally found is that having money for our expenses gives us strength. I can now afford the medical expenses of my mother, can buy fruits and vegetables, can buy new clothes on occasions – all are positive benefits. I lead my SHG and have also helped many women to learn the business. If we give sincere efforts, we can grow in our business activity and we are confident today to run our business efficiently. The project supported me to earn a decent monthly income and helped in the development of my personality with leadership qualities due to the continual social interaction with other women of the SHG and the community as a whole. I felt proud to give a speech in the ‘International Summit on Transforming Women’s lives: achieving economic empowerment and justice’ in February 2017 in Kolkata, and the Project has helped me gain a sustainable livelihood and more self-confidence. We are running a small enterprise now and we want to grow by way of learning about round sticks making and machines operations too. I will motivate all my group members to become full-time employees for better income and good production volume. Bamboo has helped support me and it is an important part of my life today. I am growing bamboo at my homesteads and tell others to grow bamboo to fetch a good income. I have also learned about its uses other than for creating agarbatti sticks and am happy to know other benefits can be derived from this plant. The Centre for Forest based Livelihood and Extension (CFLE) had supplied 10 quality bamboo planting materials [Bambusa tulda] for homestead plantation in 2011. Five have grown well and I am getting bamboo sticks for making incense sticks. I am saving some money from that too. I also planted five jiggat plants under ODI-IDRC-INBAR [an incense sticks value chain development project in 2009] and two out of five are alive today. I am using the matured poles of my homegrown bamboo and jiggat in the production of agarbatti. Mira (right) works with members of her SDG.